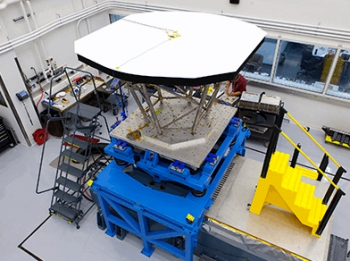 NASA has selected the United Launch Alliance (ULA) to loft its Solar Probe Plus (SPP) mission to study the Sun’s outer atmosphere. The July, 2018 launch will utilize ULA’s Delta IV Heavy rocket, augmented by Orbital ATK’s Star-48 solid motor as a third stage, in order to cope with the extremely high energy required for this flagship mission. SPP will be the first mission to fly through the sun’s outer atmosphere – the solar corona – to examine two fundamental aspects of solar physics: why the corona is so much hotter than the sun’s surface, and what accelerates the solar wind that affects Earth and our solar system. In 2014, the program moved into Phase C, allowing for advanced design, development and testing, following a successful design review in which an independent assessment board deemed that the mission team, led by the Johns Hopkins University Applied Physics Laboratory (APL), was ready to move ahead with full-scale spacecraft fabrication, assembly, integration and testing. The Solar Probe Plus team includes engineers, scientists, technicians and other experts from government, academia and industry. The potential data this spacecraft may gather has been classed as a top-priority science goal for more than five decades. To achieve its goals, SPP will orbit the sun 24 times, closing to within 3.9 million miles of its surface with the help of seven Venus flybys. At its closest passes the probe will speed 118 miles per second through the sun’s outer atmosphere, or corona, to explore a region – and face hazards – no other spacecraft has encountered. 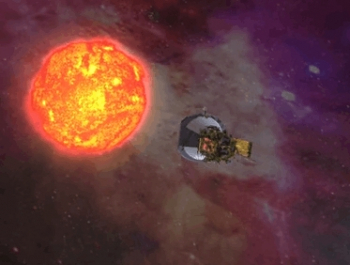 Solar Probe Plus will carry 10 science instruments to answer some of our star’s key mysteries. “The answers can be obtained only through in-situ measurements of the solar wind down in the corona,” noted APL’s Nicky Fox, Solar Probe Plus project scientist. ULA beat out other launch providers to win the right to launch the mission – citing a competitive procurement that considered multiple companies. NASA’s Launch Services Program (LSP), managing the campaign, announcing the total contract award amount for launch services is $389.1 million. “The ULA team is very proud that NASA has selected the Delta IV Heavy launch vehicle for this extraordinary science mission,” noted Jim Sponnick, ULA vice president, Atlas and Delta Programs. The most powerful rocket in the ULA fleet, the Delta IV Heavy consists of three Common Booster Cores (CBCs); one as the first stage and two as boosters. The Common Booster Cores are 40.8 meters (133.9 feet) long, and 5.1 meters (16.7 feet) in diameter. 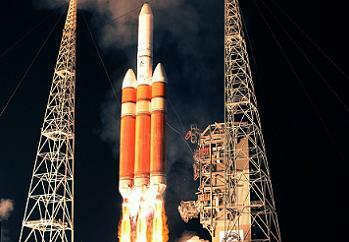 Each is powered by a single Pratt & Whitney Rocketdyne RS-68A engine. The second stage of the Delta IV Heavy is a five-meter (16-foot) diameter Delta Cryogenic Second Stage (DCSS), which is powered by an RL10B-2 engine. The boosters, first stage and second stage all burn liquid hydrogen propellant, oxidised by liquid oxygen. Due to the high energy requirements for this mission, a third stage will top off the propulsive elements. This will be in the form of Orbital ATK’s Star-48 solid rocket motor. 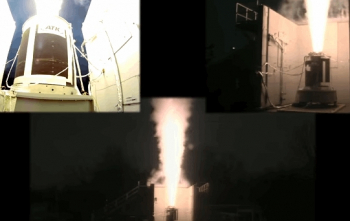 In 2014, Orbital ATK tested a version called the Star-48GXV with the SPP mission in mind. This motor has been used on Orbital ATK’s own rockets, but also on missions such as New Horizons – which was launched by an Atlas V 551. Variants have mainly launched with the Delta II rocket. “ULA has considerable successful experience integrating third stages on top of our already capable vehicles,” Mr. Sponnick added. “We did something very similar when we launched the New Horizons mission, which will fly by Pluto and its moons later this year. The mission is set to begin with lift-off from Space Launch Complex 37B (SLC-37B) at Cape Canaveral, a launch complex which was originally built as a backup pad for the Saturn I in the 1960s. It was used for eight launches which supported the Apollo program, including Apollo 5, the first test flight of the Lunar Module. Six Saturn Is and two Saturn IBs launched from the complex between 1964 and 1968, after which the pad was mothballed, in anticipation that it would be reactivated when Saturn IB launches resumed for low Earth orbit programs after the moon landings. Instead, the Apollo Applications program was scaled back, and Launch Complex 39 was modified to accommodate the Saturn IB by means of the “Milkstool” adaptor which allowed a Saturn IB to use a Launch Umbilical Tower that had originally been designed for the larger Saturn V. The original complex was demolished in the 1970s. 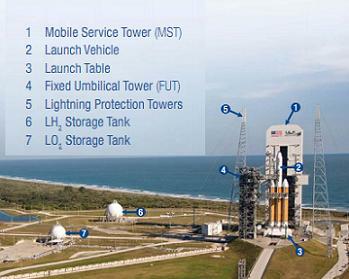 Construction of the new complex began in the late 1990s, with the first Delta IV launch from the pad occurring in 2002. Another pad, LC-37A, was part of the original complex, however it was never used, and only pad B was rebuilt for the Delta IV. The launch has a target of July 31, 2018 – with a window of opportunity lasting 20 days. (Images via ULA and Orbital ATK).